And don't forget about all of the glass jars! Lot of 2 Trailer Light Monitor Kits. Both are new in box, one box is open. As-Is untested. Note inside box says drills have problems. New Open Box, tested working. Untested. Looks to be new in box. Large lot of poles, winning bidder gets them all. Testing working, comes with what you see pictured. Sizes include 5/16, 1/4, 1/2 etc. 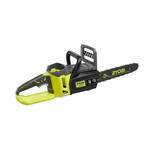 Ryobi 40V Brushless 14" Cordless Chainsaw - comes with battery and charger! Comes with charger, but no battery. Recon unit, like new. Good condition unit. Possibly used for surveying? Item will be brand new in box, un-assembled. What you see is what you get, all untested. Kinco Brand, Size XL. Brand new. 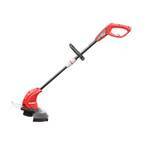 Kinco Brand, XL size. Brand new.